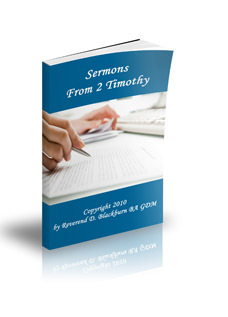 Sermons on 2 Timothy 2 are sermons about encouragement. We all need love and encouragement as inspiration to serve God faithfully in the ministry of the gospel of Jesus Christ. This sermon will help you understand the importance of encouragement in the ministry of the gospel of Jesus Christ. This sermon should give you some ideas in order to help you write a sermon for your congregation. William Arthur Ward wrote, "Flatter me and I may not believe you. Criticize me and I may not like you. Ignore me and I may not forgive you. Encourage me and I will not forget you." We all need love and encouragement. Even as Christians we need love and encouragement. Timothy needed love and encouragement so that he could faithfully serve God in the ministry of the gospel of Jesus Christ. So how did Paul encourage young Timothy to faithful service? What words of wisdom did Paul impart to Timothy that encouraged him to faithful service? It was important that Timothy never forgot who Jesus was and what Jesus had done for him. Timothy needed to remember that Jesus was God's Son - the one who created the heavens and earth, the one who holds all things together. Timothy also needed to remember that Jesus was his Savior - the one who came to this earth to die upon a cross for our sins, the one who rose from the grave to give us new life. The One who said, "Come to Me, all you who labor and are heavy laden, and I will give you rest. Take My yoke upon you and learn from me, for I am gentle and lowly in heart, and you will find rest for your souls. For My yoke is easy and my burden is light" (Matthew 11:28-30). The One who said, "Let not your heart be troubled; you believe in God, believe also in Me" (John 14:1). Remembering who Jesus is and what He has done for us is encouragement within itself. Timothy had to accept this fact. He was not to be discouraged by opposition. After all, people will be offended when we tell them that Jesus is the only way to God and when we tell them that they are sinners. But that's the gospel message (1 John 5;11-12). Look at the end of verse 9 and all of verse 10, "But the word of God [referring to the gospel] is not in chains, and so I endure everything for the sake of God’s chosen people, in order that they too may obtain salvation that comes through Christ Jesus and bring eternal glory." We should be encouraged because we have a wonderful message of salvation—a message of hope in a hopeless world—a message of eternal life that is found only in Jesus Christ. Yes, some people will be offended by the gospel; however, others will respond to it and be saved (1 Corinthians 1:18). Look at verse 11 and the beginning of verse 12, "This is a faithful saying, 'For if we died with Him, we shall also live with Him. If we endure, we shall reign with Him'"
If we belong to Jesus, if we live for Jesus, then our eternal home in heaven is secure. This wonderful truth should encourage us to faithful service knowing one day we will reign with Him. Look at the end of verse 12 and all of verse 13, "If we deny Him, He also will deny us. If we are faithless, He remains faithful; He cannot deny Himself." Warnings are good because they help us stay on track. It also shows us that God is serious about salvation. We cannot expect on eternity's morning to be welcomed into heaven if we deny Jesus on earth. We all need love and encouragement. Paul encouraged Timothy to faithful service. When people are struggling, discouraged, or sidetracked, it is easy to be critical. It is easy to put them down. But we can do something different! 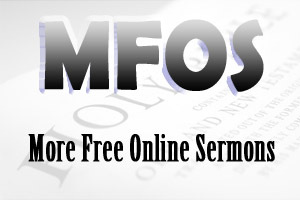 For more sermons, click on Sermons on 2 Timothy.